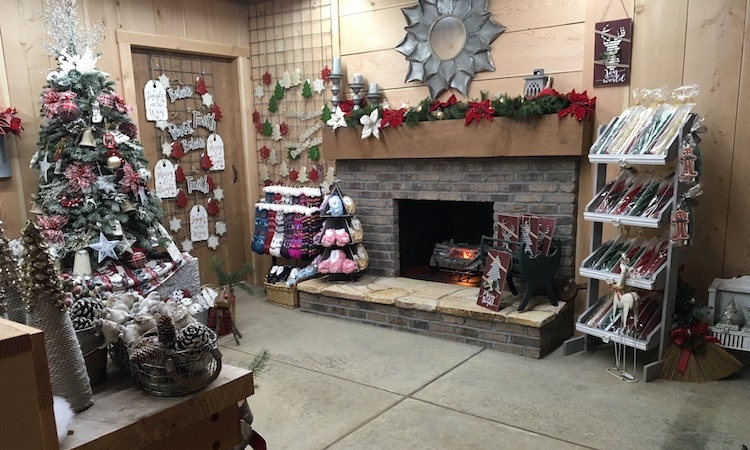 Come inside the big, red barn to visit our rustic holiday store. 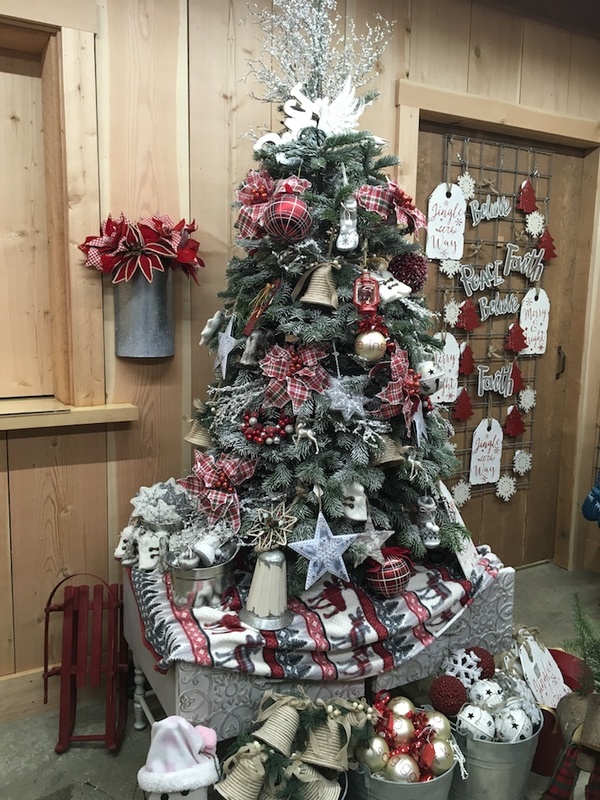 We sell Christmas tree items including tree stands and a wide variety of ornaments. 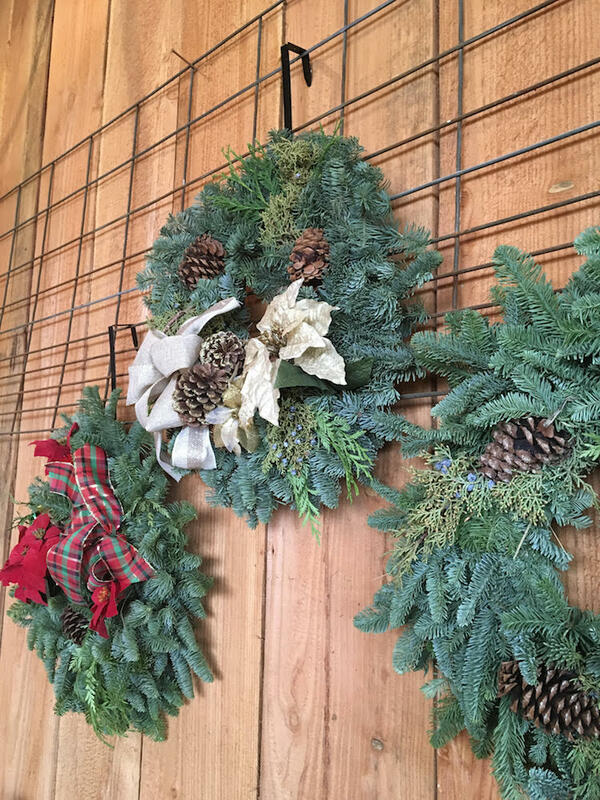 Make your home more festive with fresh garland. 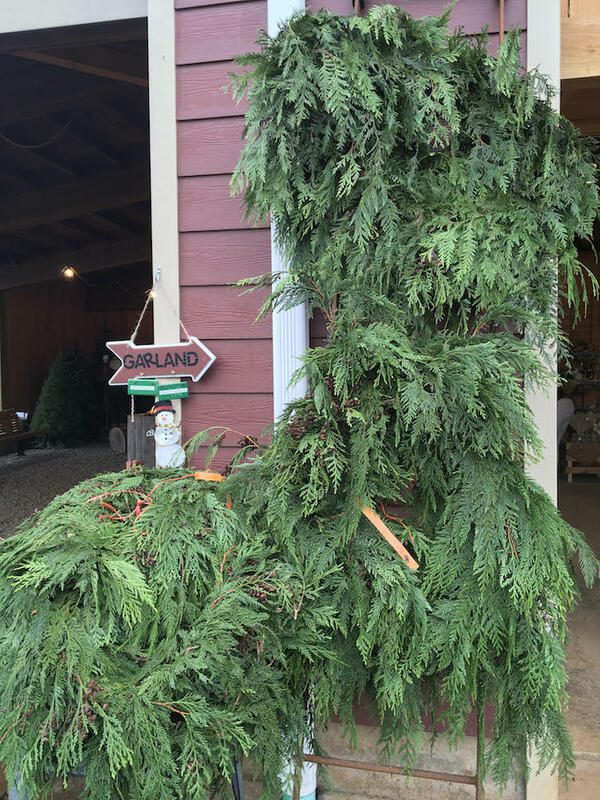 Choose a wreath from many hanging inside and outside the holiday store. 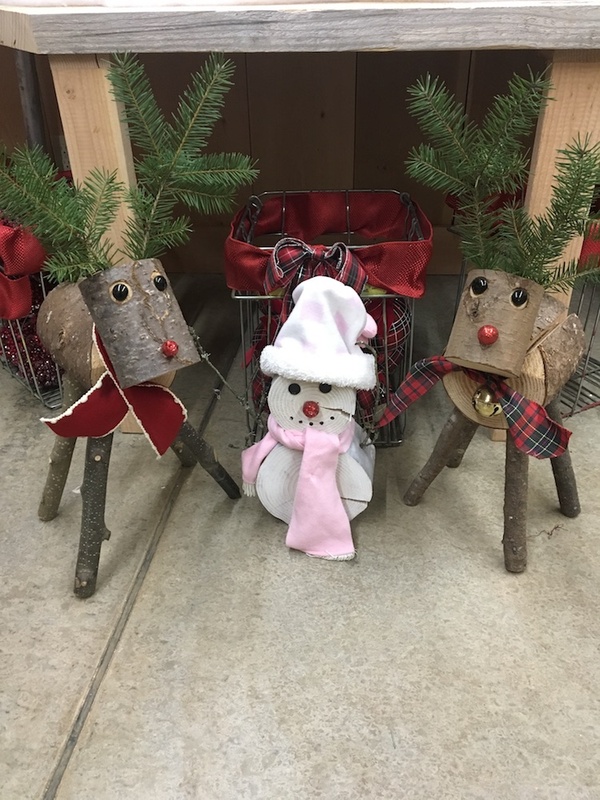 Select a cute snowman or reindeer made from logs, twigs and branches. 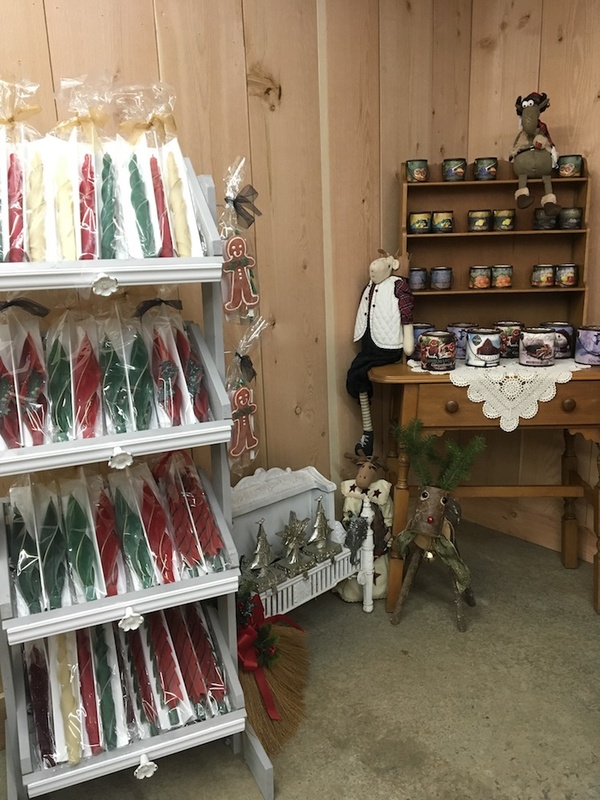 Browse our displays of holiday decorations, candles, holiday stockings, Snoozies slippers, lavender items, and local honey. Fresh garland sold by the foot. 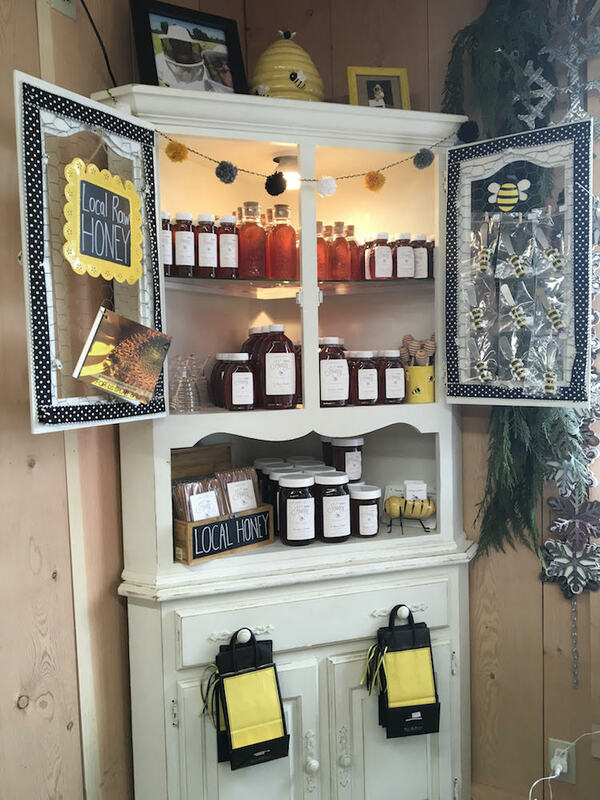 B Keeper's Daughter honey from our neighbor Vanderpool Farms. A variety of unique country-style ornaments for your tree. 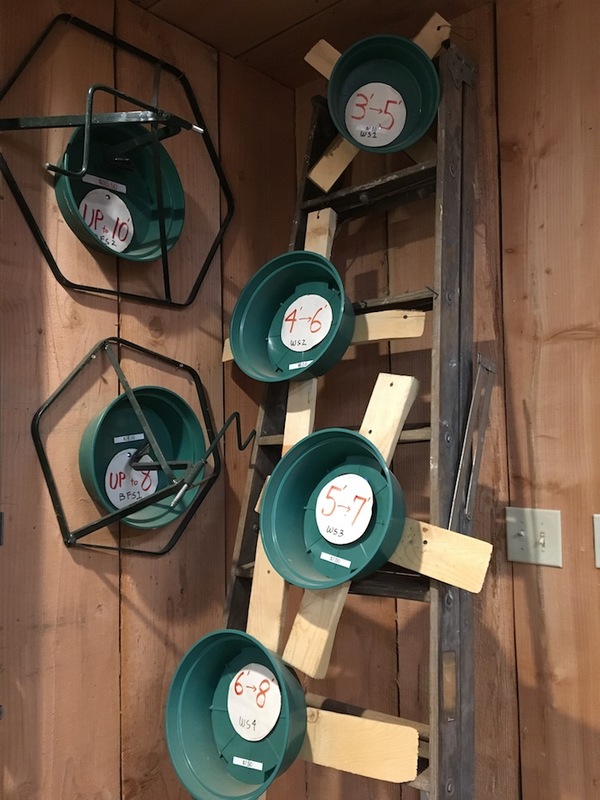 Durable tree stands for all sizes of trees. Handmade from logs, twigs and branches. Choose from all natural beeswax candles or regular scented candles in a decorated ceramic cup. 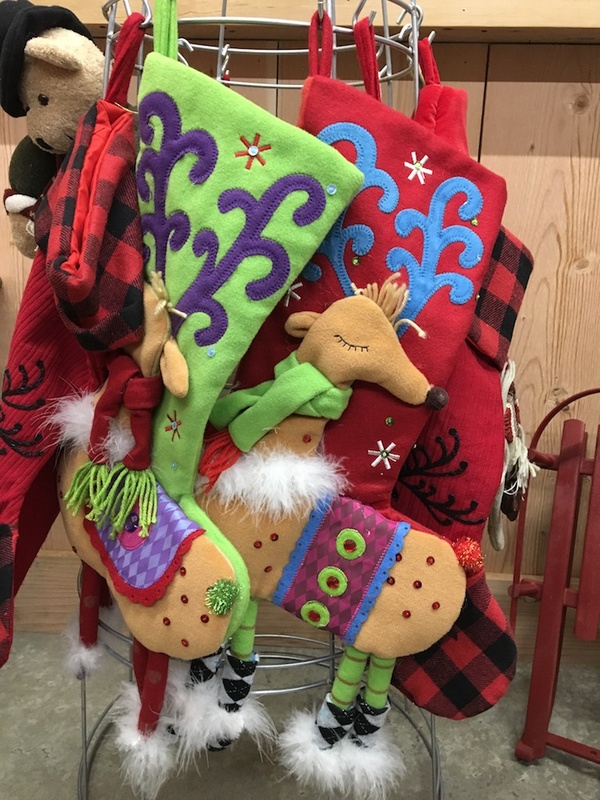 Variety of holiday stockings for the whole family. 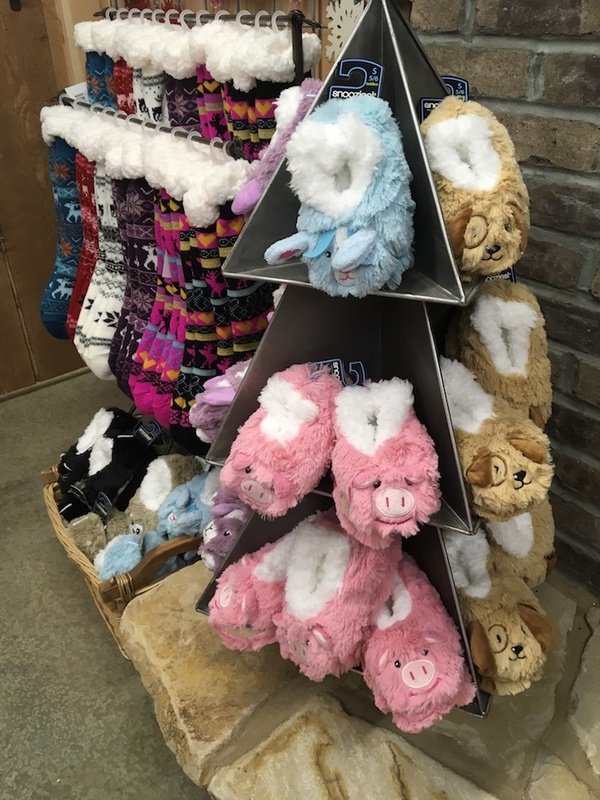 Warm and comfortable Snoozies slippers and slipper socks for children and adults.